every elements of our lives is captured, visualised and shared. Back in 2015 I was working closely with Creatives from Grey London to help them realise vision project for Hugo Boss called Scentagraphics. 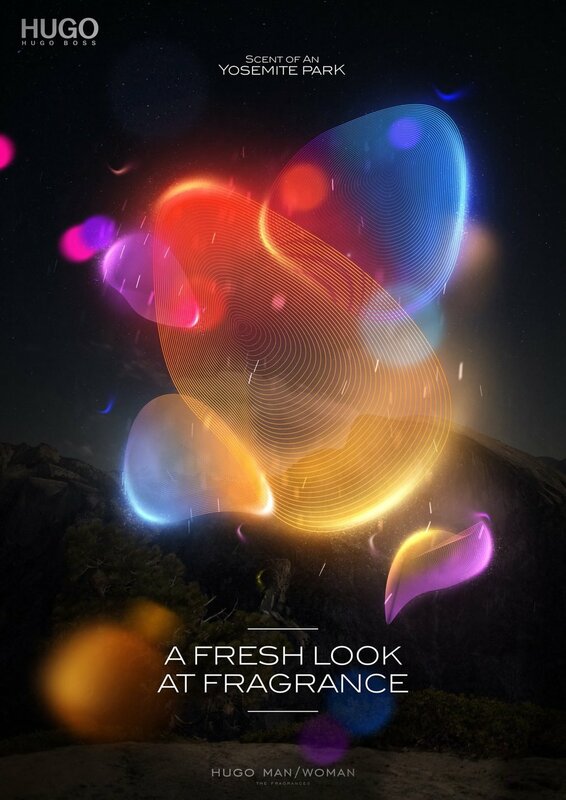 Merging the worlds of technology and fashion, a ground breaking piece of technology made it possible to capture and visualise a fragrance. My task was to come up with an Art Direction how we could visualise Hugo Boss scent, distinguishing a range of variants from coolness, spiciness, warmth and floral notes. Unfortunately the campaign had to be pulled for reasons beyond the agency's and client's control.